It's the Christmas Eve. The guests will soon come, but Marie hasn't yet chosen the clothes she will wear at the party, she must hurry up. 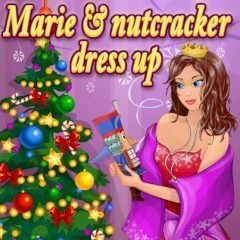 Help Marie to choose a right garb for Christmas. And don't forget about the Nutcracker!